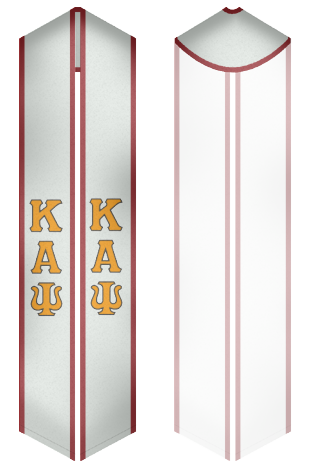 Kappa Alpha Psi is a predominantly African American fraternity founded in 1911 at the Indiana University. The fraternity has 721 chapters and has over 150,000 members that help strengthen the fraternity’s charter. The fraternity has a long list of famous alumni and helps support various causes. The fraternity has chapters worldwide including Japan and the United Kingdom. 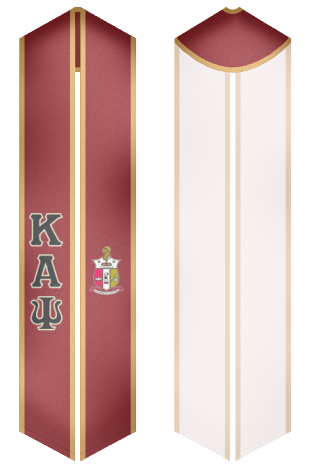 Make your graduation enjoyable and very memorable with one of our sashes and stoles. 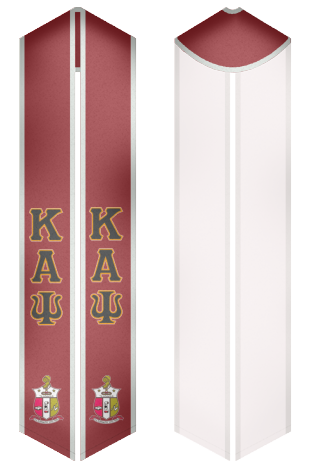 Stand out among the crowd and let them know that you are proud of yourself and your fraternity. 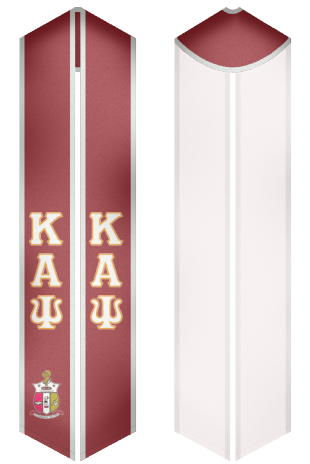 The sash are of the highest quality material and are made to make you look great.